Upcycled bottle cap necklace with an antique style. 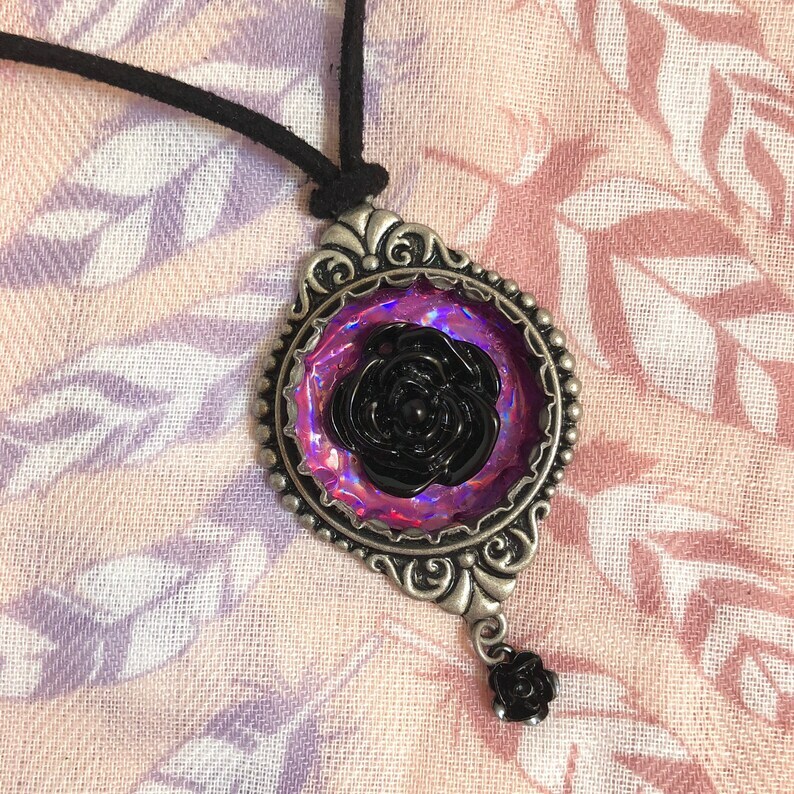 A black rose cabochon sits on iridescent hot pink backing within the bottlecap, which is then mounted on a filigreed setting. A tiny black rose charm dangles from the bottom. Designed and handmade by Erin.